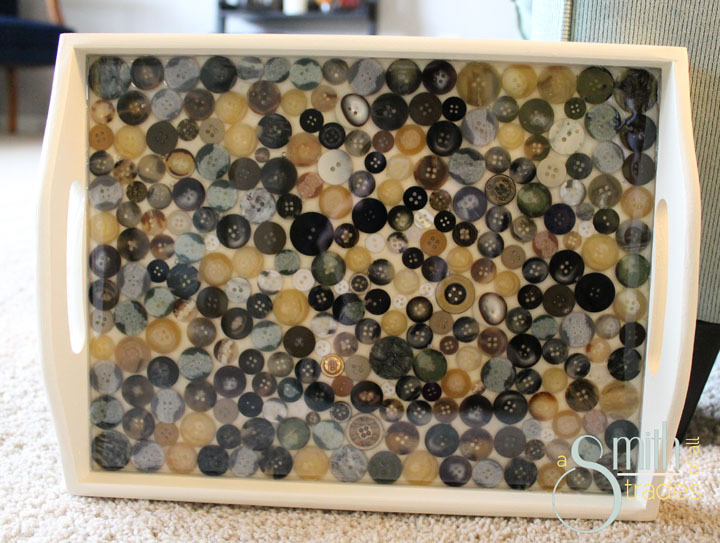 Need a fun project for the upcoming weekend? 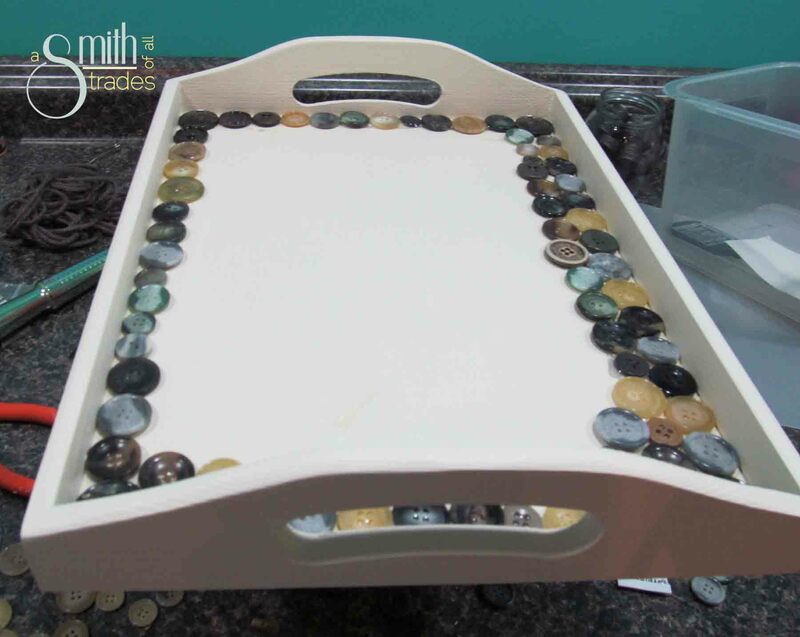 Why not try making your own button tray?! 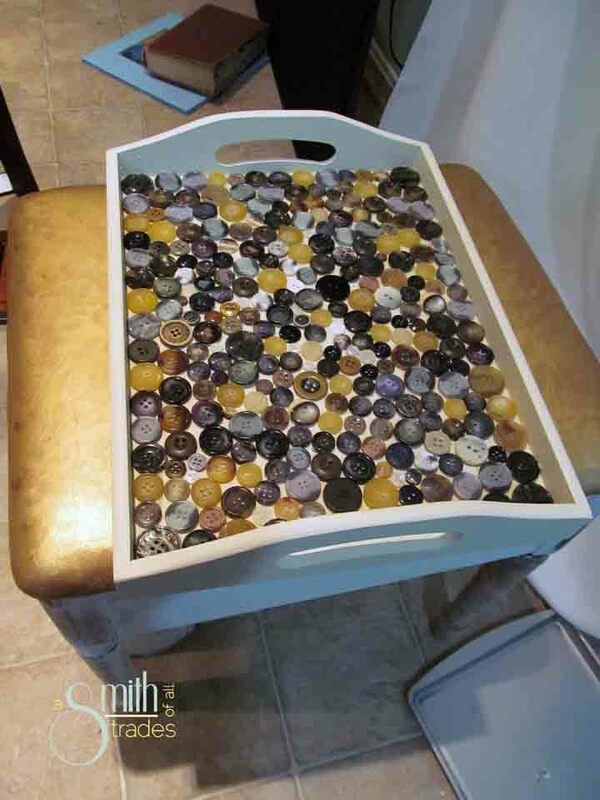 This tray takes a while, but the end result is totally worth it. 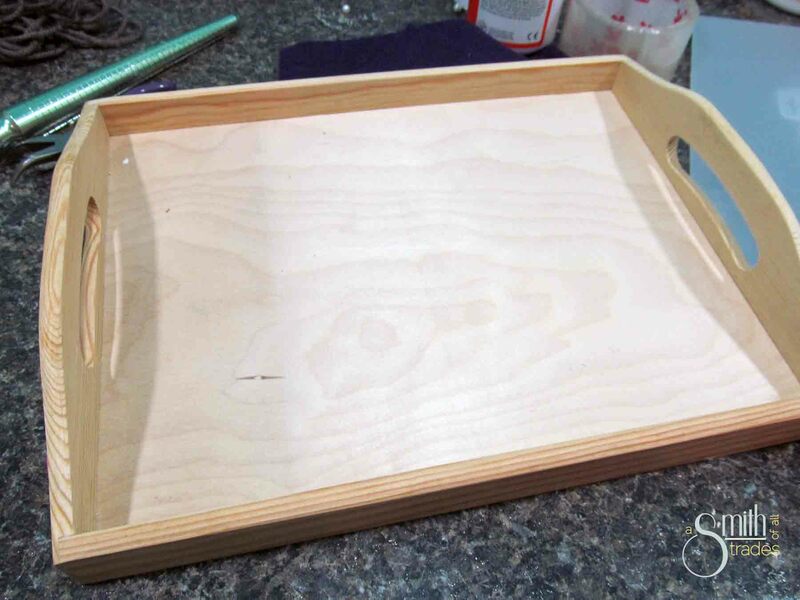 Step one: Prepare your tray for painting by doing a light sanding (if necessary). 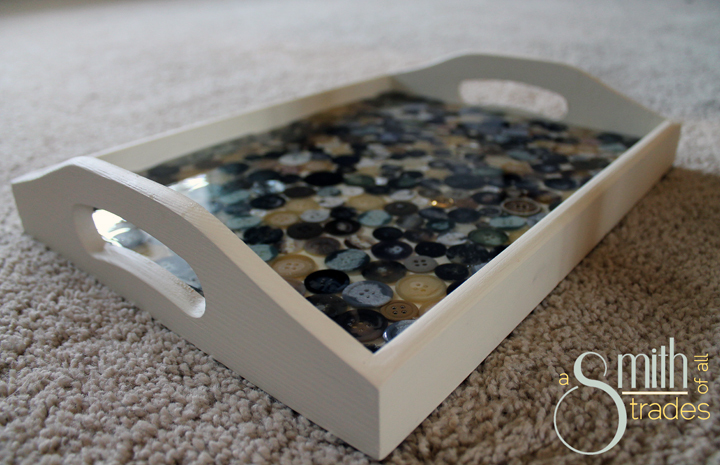 Step two: Apply several coats of paint to your tray, allowing adequate dry time in between coats. I opted for an off-white color for my tray. Step three: Once your tray is dry, start securing buttons to the bottom using glue. I used super glue until I ran out of it and switched to hot glue. Glue your buttons as close to one another as possible. Do not skip the gluing step because the buttons will rise when you pour on your super glaze. Step four: When all of your buttons are secure and the entire tray is filled, it is time for your super glaze. I buy mine from Home Depot. Mix up your super glaze according to the directions pon the box (1:1), then pour over the buttons. To get the best results, I poured my first layer and let it dry for the recommended 72 hours. Then I came back and poured a second layer to fill in any nook, crannies and buttonholes. Step five: This is the hardest part — let your tray dry for the full 72 hours. I had to wait twice since I did mine in two layers! If you don’t, you will get fingerprints on the clear finish and it might be tacky. Also, let the tray dry in the warmest room in your house. I let mine dry in our office — the hubby’s computer makes it super warm. When I let it dry in our cool basement, the finish on the super glaze was tacky to the touch. Always place cardboard underneath in case anything leaks out (which is did because my tray cost $.50 and wasn’t the greatest work of construction known to man). Step six: Admire your hard wok and patience by displaying your beautiful tray proudly in your home.